I made these with bacon, but you could use ham, prosciutto, or extra spinach for a vegetarian version. These are awesome to throw together on a lazy Sunday morning. Veggies, protein, and bacon goodness, what more could you ask for? Place spinach in a microwave safe bowl and microwave for 1-2 minutes to warm slightly. 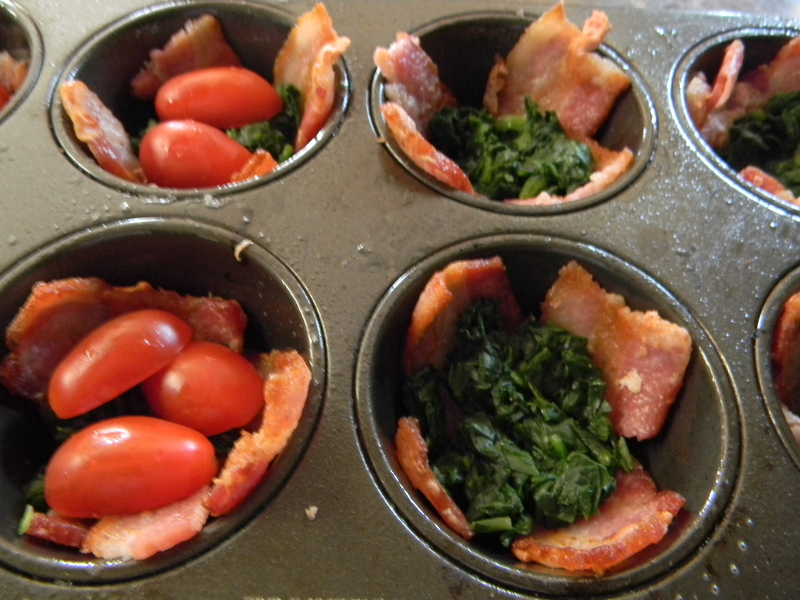 Place spinach on top of bacon, season with salt and pepper and then add a layer of tomato. Crack one egg over top of each of the cups and season again with salt and pepper. Bake in the oven for 10 minutes. Remove and add shredded cheese to each cup. Bake again for another 5 minutes until cheese is melted and bubbly. Serve with hot sauce if desired. I love any kind of dish that can be prepared in one pan or one pot and this happens to be one of them. 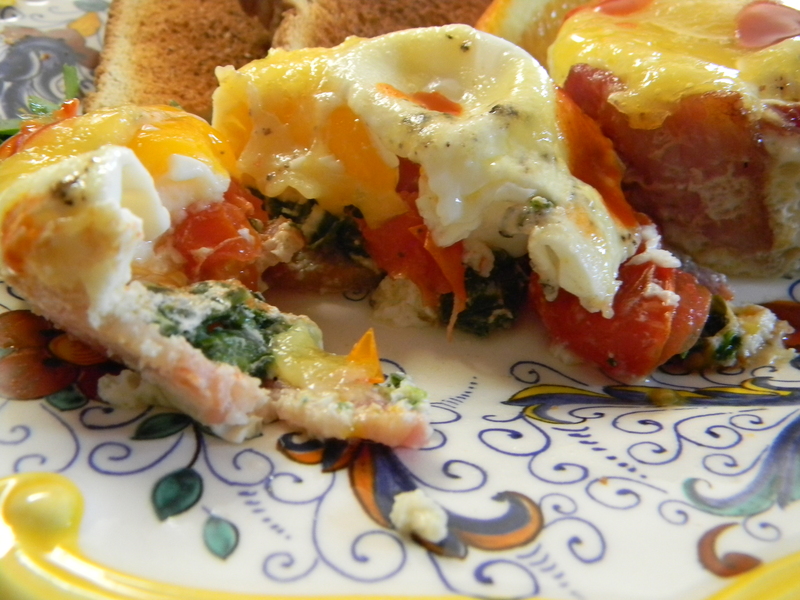 I think that this dish may be even better with the addition of baby spinach. You can sub the meat chorizo for the Soyrizo to make this a veg-friendly option. I happened to have some goat cheese lying around (like daily), so decided to use that for a little extra oomph. Oomph is always a good thing in the kitchen. If you prefer, you can scramble the eggs with the chorizo mixture, which also makes a wonderful burrito filling. 1.) Heat a large saute pan over medium heat and add olive oil. 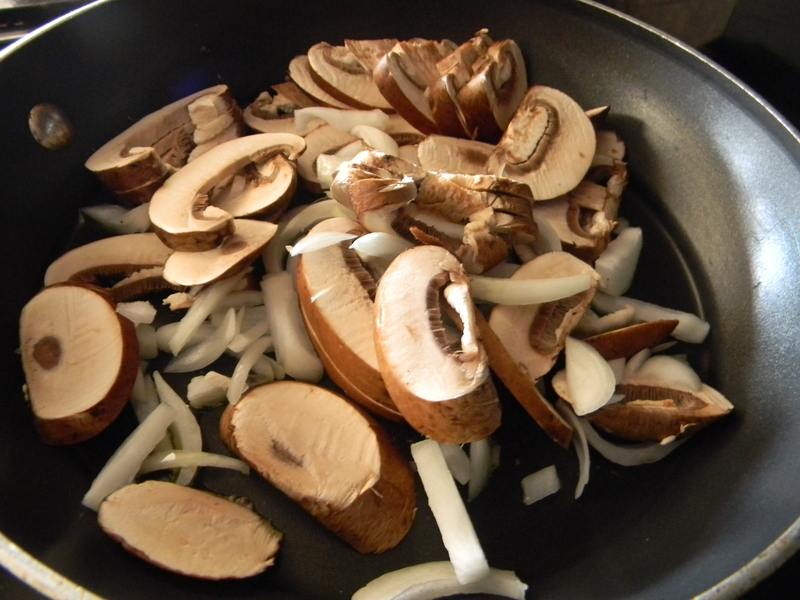 When the oil is warm, add onion and mushroom. Saute for about 4 minutes until softened. Remove to a small plate. 2.) 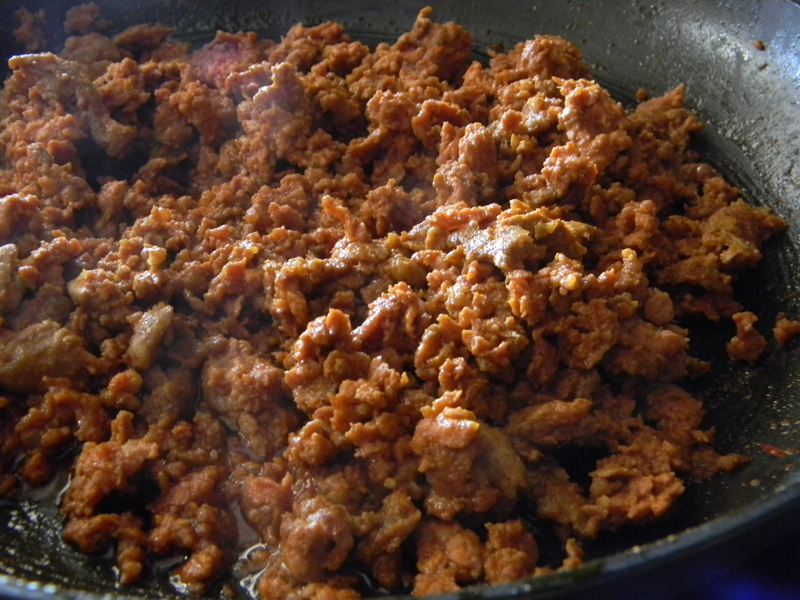 Place pan back over medium heat and add chorizo, stirring frequently for about 6-8 minutes, until cooked through. 3.) Return onions and mushrooms to chorizo pan. 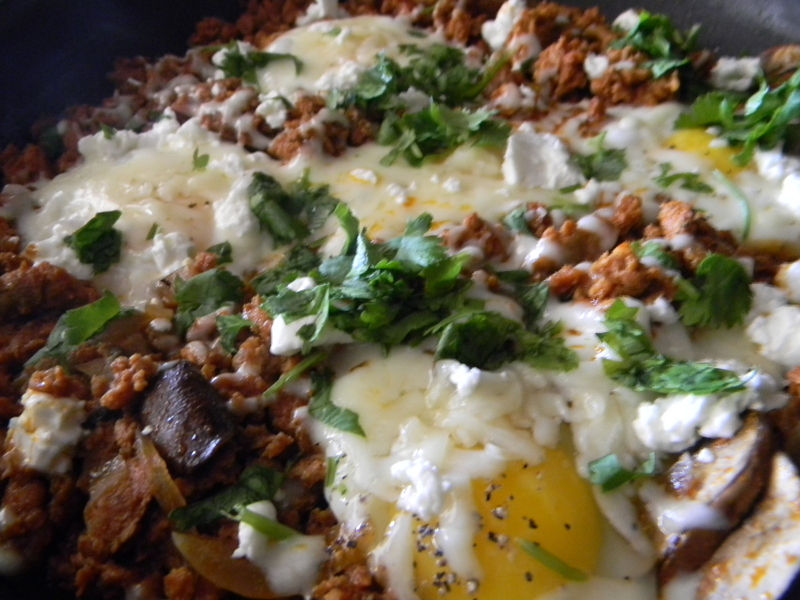 Make a small well in the chorizo for each egg. Crack eggs into the wells and season eggs with salt and pepper. Cover pan with a lid or another pan and cook for 3 minutes. Add cheese and cilantro, cover and cook for another 2-4 minutes longer until cheese is melted and eggs are cooked to over easy or medium. 4.) 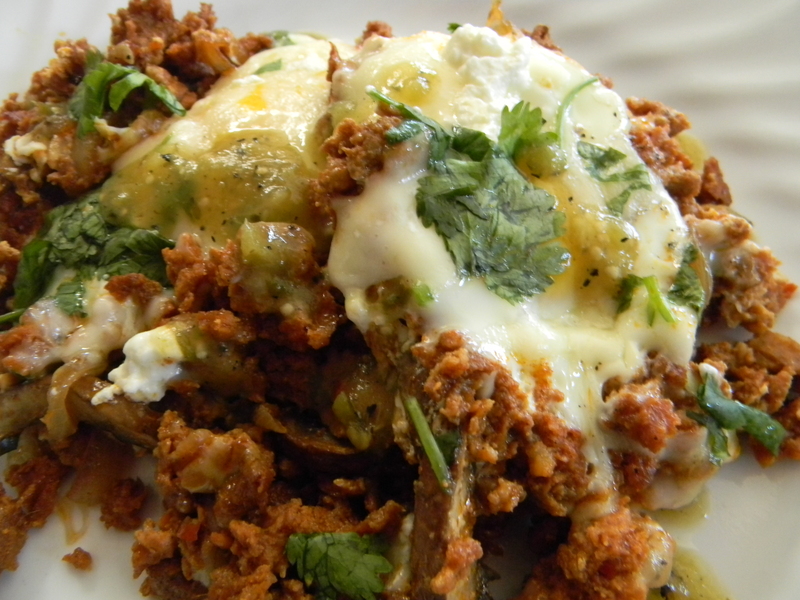 Serve each plate with 2 eggs, the chorizo mixture and green salsa. 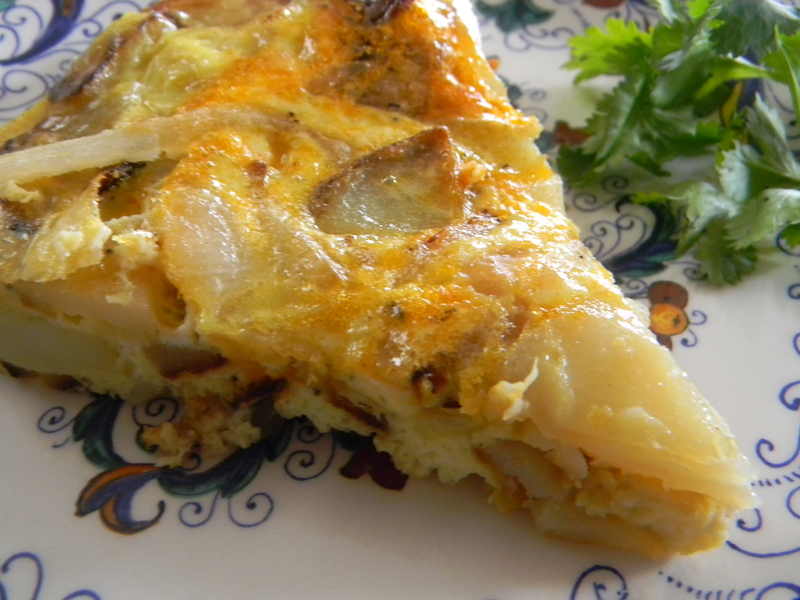 This egg dish actually has nothing to do with tortillas, it is technically a potato and onion fritatta. 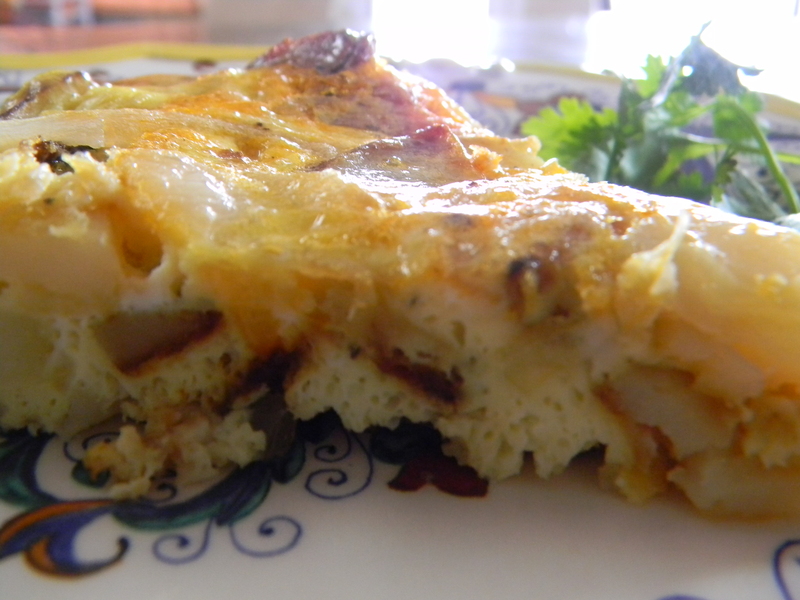 I added chorizo to give it a nice smoky flavor, and think that adding a manchego cheese would make it even better. I have been lucky enough to find Spanish chorizo at one of my markets here in Arizona but you can use Mexican beef chorizo as well. If you are a vegetarian, you can simply omit the chorizo altogether or replace it with Soyrizo, which I actually like. You can serve this for breakfast or for a light lunch with a field green salad with sherry vinaigrette. 2.) In a large saute pan, heat 4 tablespoons olive oil over medium heat. Add potatoes to hot oil and cook for 8-10 minutes until they start to brown and soften. 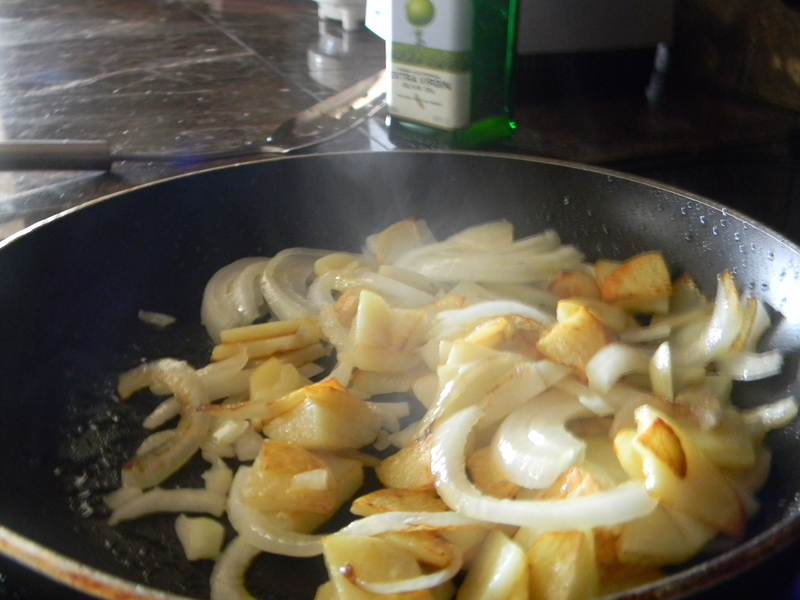 Add onions to pan and cook for 8 minutes more until potatoes are cooked through and onions are translucent and softened. Season with salt and pepper. Remove from heat and set aside. 3.) In an large oven-proof saute pan, heat remaining 2 tablespoons olive oil over medium heat. Note: If you don’t have an oven-proof saute pan, you can wrap foil around the handle of a regular saute pan. 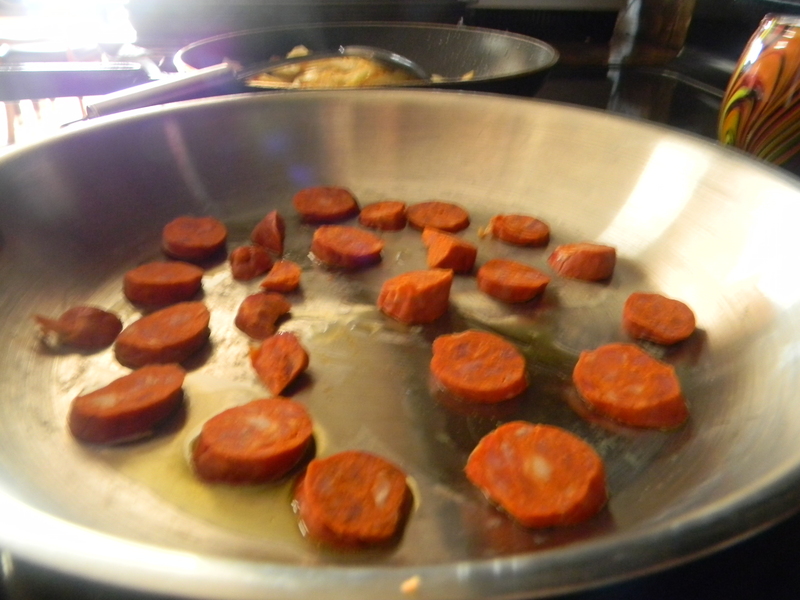 Cook chorizo slices until slightly browned for 3 minutes. 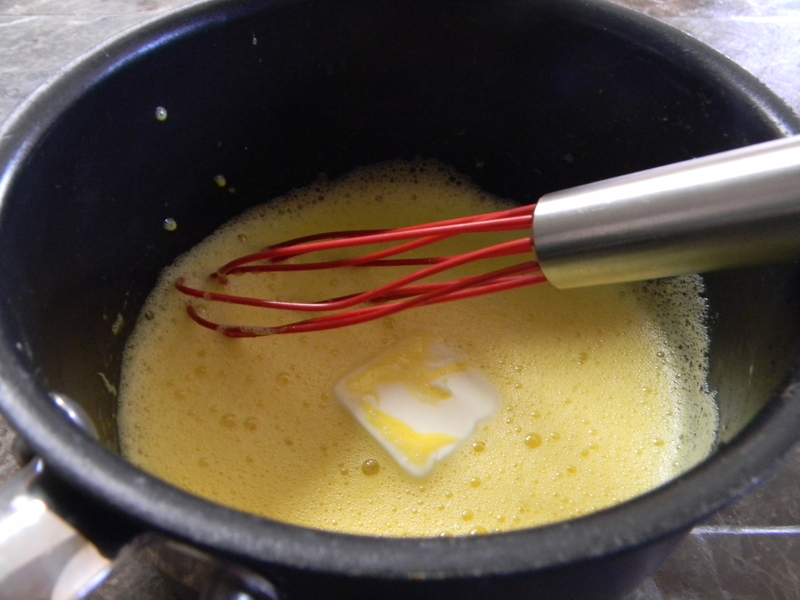 In a large bowl, whisk together eggs, milk, salt, and pepper until well combined. 4.) Pour potato and onion mixture over chorizo. 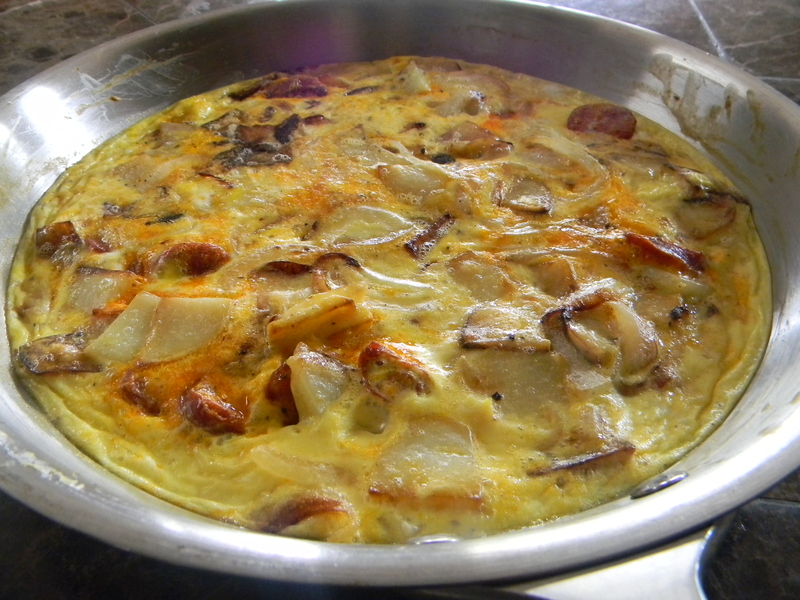 Pour eggs over top of potato, onion and chorizo. Place back on medium heat to let the eggs cook for about 6 minutes. Place pan in oven for another 6-8 minutes until the eggs are cooked through. 5.) Run a rubber spatula around the edges of the pan to loosen the eggs and cut into slices for serving. I hate most forms of ham and love adding the vegetables to the mix. It makes me feel slightly better about consuming the hollandaise sauce. Maybe the veggies cancel out the fat? 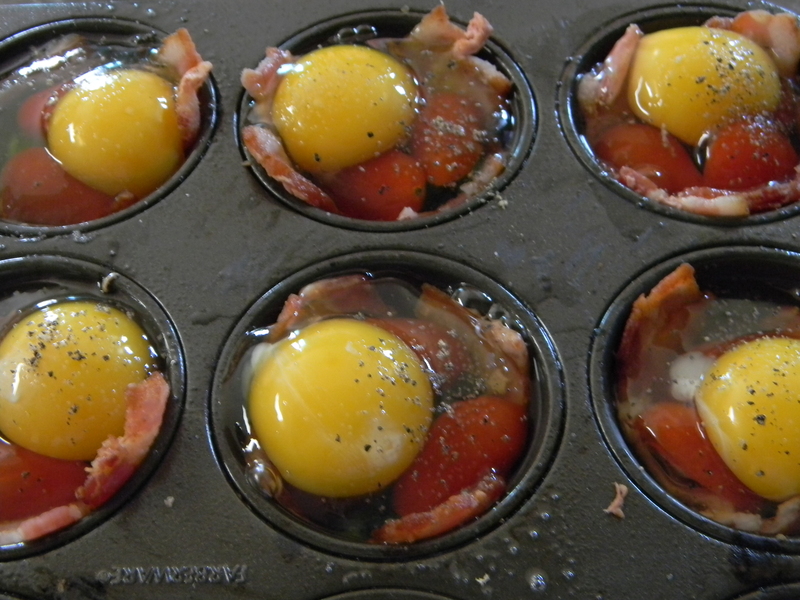 Well, maybe not but, these are a great weekend breakfast idea. Serve them with a side of bacon and some bloody marys for a beautiful brunch. 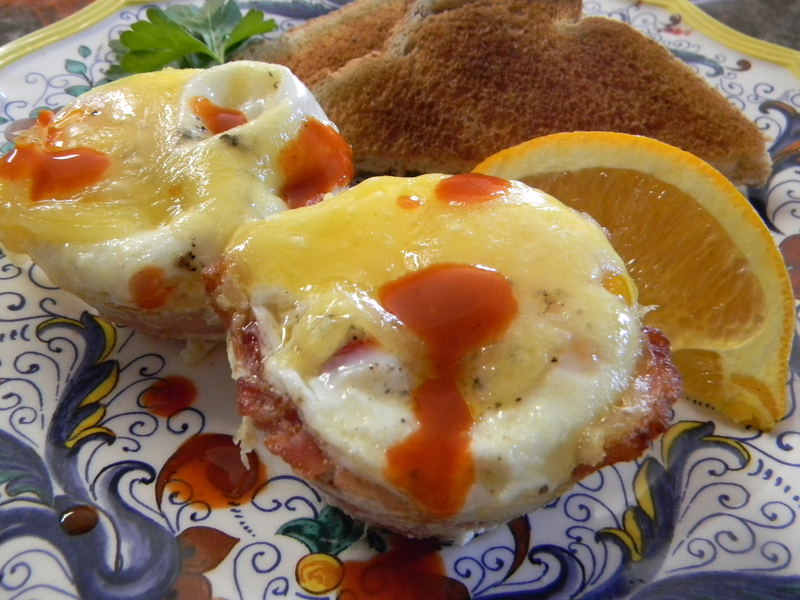 Make your hollandaise sauce first and keep it warm while you are doing your eggs and toasting the muffins. 1.) 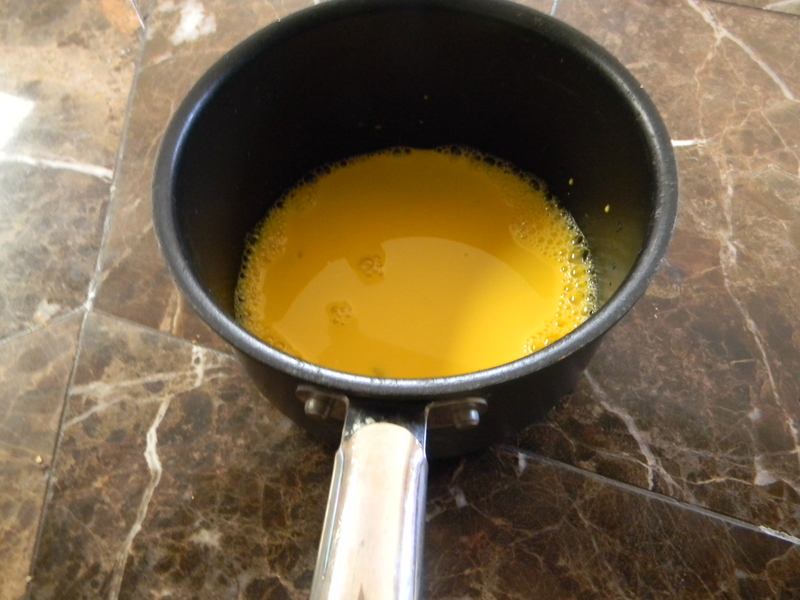 In a medium saucepan over medium-low heat, place the 3 egg yolks, water and lemon juice. Stir with a whisk for about 6 minutes until the mixture starts to bubble. 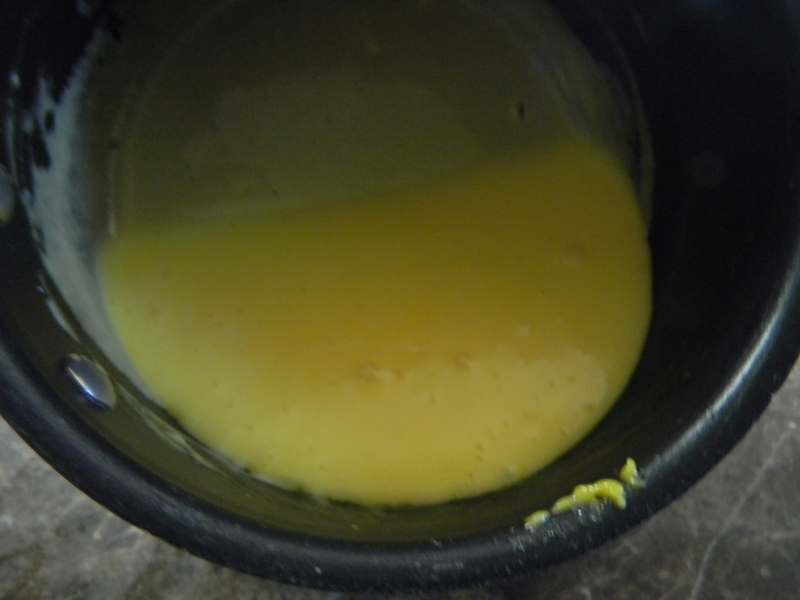 Be careful not to curdle your yolks or you will have to start over again. Add the butter pieces one by one, whisking each until well incorporated. The mixture will start to thicken little by little. Season with salt, remove from heat, and cover with plastic wrap to keep warm. Whisk in butter one piece at a time when you see all the bubbles after around 6 minutes. This is what it will look like after all the butter is incorporated. 2.) In a large, deep saute pan or skillet, fill halfway with water and add vinegar. Bring to a boil over medium heat. Crack the eggs into a cup. 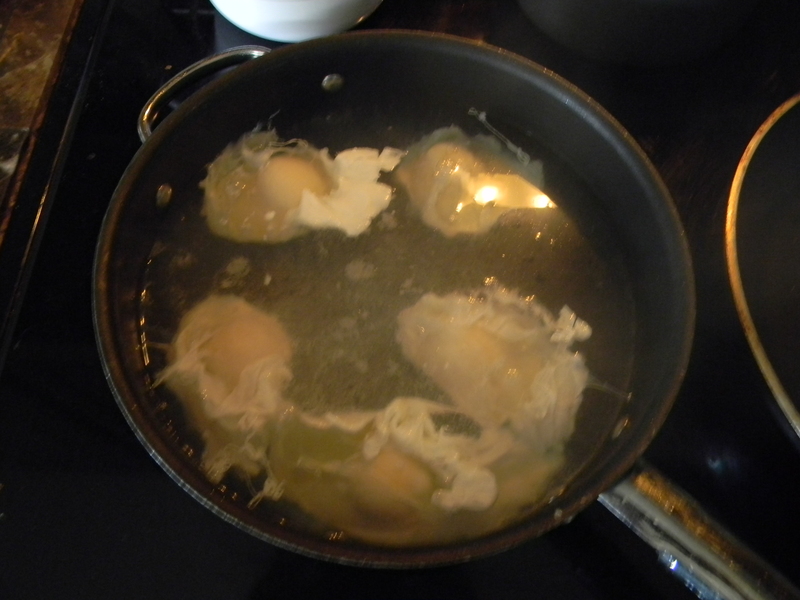 Working in two batches of four, when the water boils, pour each egg in one at a time. Cook until the eggs are white and somewhat firm looking, about 4-6 minutes. 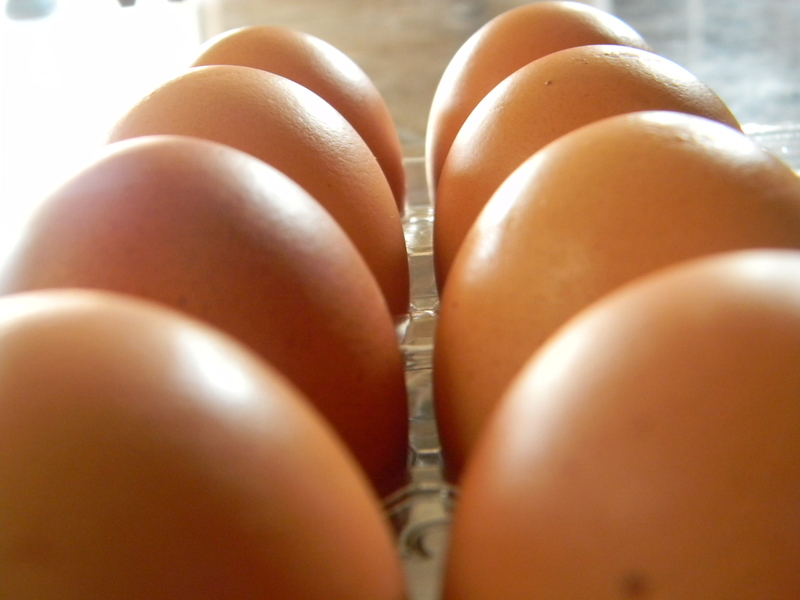 Remove the eggs with a slotted spoon to a plate and keep warm. Repeat with remaining eggs. 3.) In another large skillet or saute pan, heat the olive oil. 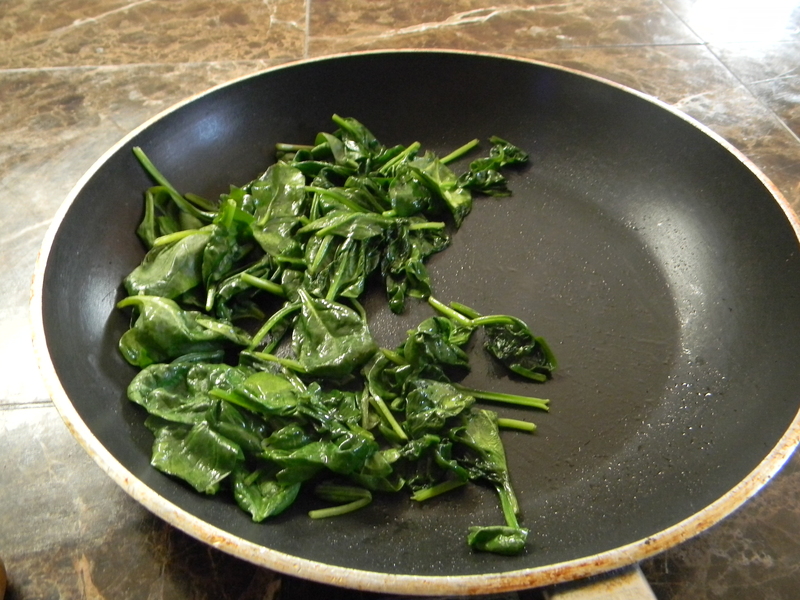 Add spinach to the pan when hot and saute for 1 minute until just wilted and softened. Season with salt. 4.) Toast the muffins and place two on each plate. 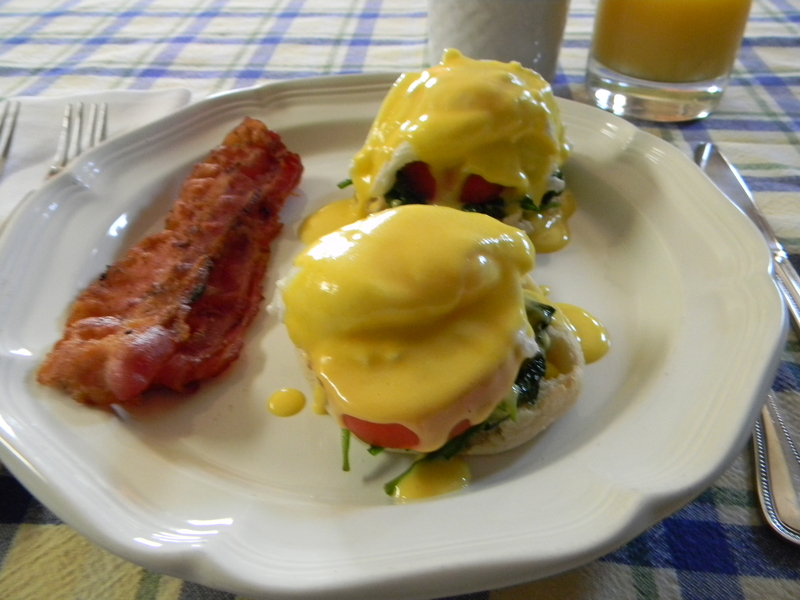 Top each muffin half with sauteed spinach, a tomato slice, a poached egg, and a drizzle of hollandaise sauce.